It's finally almost spring again, and I'm so excited! The spring cleaning tradition resonates very closely with feng shui principles, so during this episode we'll talk about how to head into spring cleaning, feng shui-style, plus a spring cleaning challenge! I hope you're more excited about spring cleaning now that you have new feng shui tips! I'm so excited to see everyone's spring cleaning challenge photos! Remember to upload your After photos (Before photos are great too!) to Instagram with the tag, #springcleanchallenge. Even if you don't upload a photo, keep feng shui in mind as you freshen up your space for the new season. 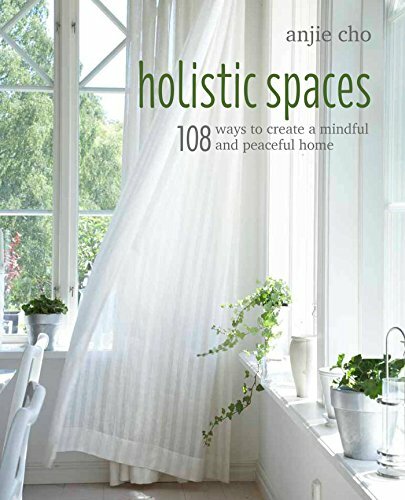 Be sure to check out the Holistic Spaces blog for more feng shui and green cleaning tips, plus My Favorite Things for spring cleaning. I'd love for you to submit any questions you may have for our Q&A Sunday series, and sign up for the Holistic Spaces newsletter as well, for tips you won't find anywhere else, PLUS a 10% off coupon to the Holistic Spaces store! Tune in March 28 for the next Holistic Spaces Podcast, the first of our Five Elements Series.